Over 30 authentic, comforting recipes from the roadside restaurant era. For the Early-bird's Breakfast, treat yourself to Corned Beef Hash or Buttermilk Waffles with Strawberries. In Sandwiches, discover how to make the perfect Hamburger or Triple-decker Turkey and Bacon Club Sandwich. If light fare is what you're after then A Cup of Soup and Salad should fit the bill. Try Manhattan Clam Chowder, Chicken Noodle Soup or a classic Cobb Salad with a choice of dressings. Dish of the Day is for big appetites - make A Bowl of Red or Mama's Meatloaf. The Extras chapter includes Onion Rings, Coleslaw and more to accompany any meal. Somethin' from the Sweet Counter celebrates Cheesecake, Apple Pie and Devil's Food Counter Cake. 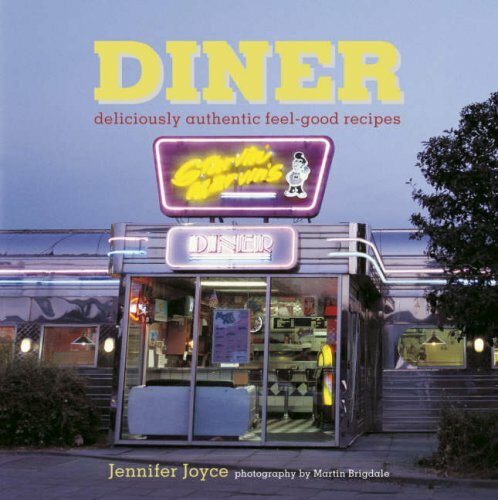 Jennifer Joyce is an American food writer who lives in Richmond. She writes for New Woman, Olive, BBC Good Food and Sainsbury's Magazine. Books for Cooks and Divertimenti in London host her weekly cookery courses and she is the author of several other books.